The polarizing Lana Del Rey returns with a new track, the first since the Honeymoon long player released in 2015. Sounding like Mazzy Star meets Chris Isaak meets Jesus And Mary Chain meets some glamorous past compounded by the simultaneously modern and retro lyrics plus the doe-eyes framed with false eyelashes – and probably an affection for art deco Los Angeles buildings. In the video a gentle smile cautiously opens the door into her private thoughts. 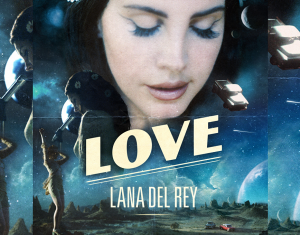 It’s an infectious dreamy chorus showcasing Del Rey’s unique voice that frankly – I love and simply can’t get enough of. (Her best album, 2014’s Ultraviolence is a gem). Floating through your mind, injecting you with the hopeless romance of youthfulness, one can only submit to this effortless atmospheric offering. Close your eyes, get into your cadillac and fly towards the sun.